Taipan’s rendition of Panthera onca augusta, a prehistoric North American jaguar. Public domain. 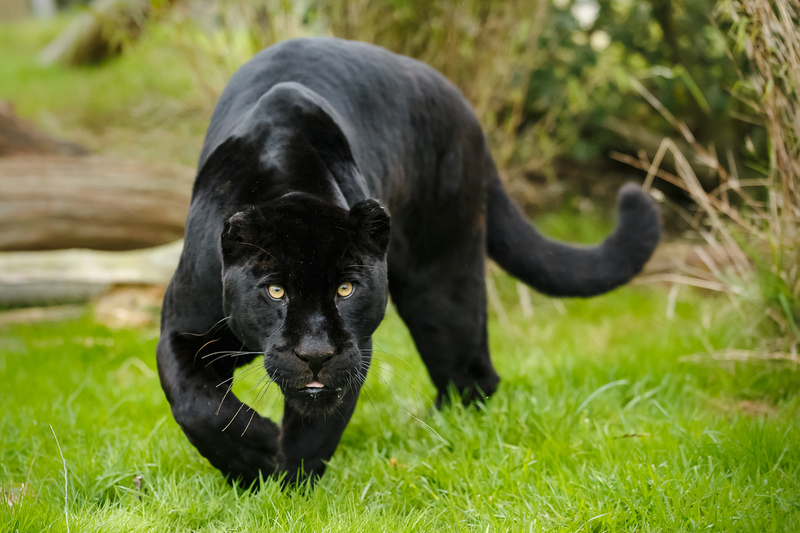 The modern jaguar (Panthera onca) is a resident of South, Central, and southern North America. But in order to get there, its ancestors had to traverse nearly the entire globe. According to Tseng et al. (2013), the genus Panthera originated in Asia during the Miocene period. This is because fossils of the oldest known member of this group, Panthera blytheae, have been found in the Tibetan Himalayas. 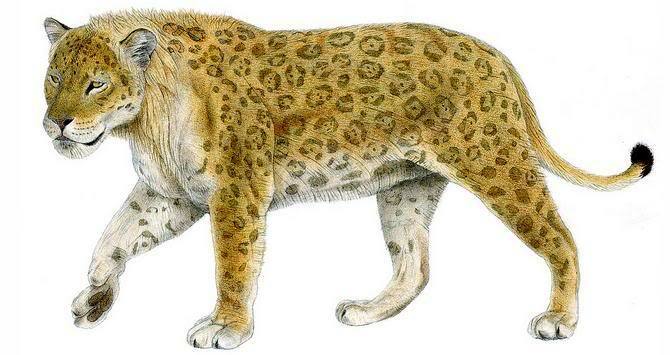 The first jaguar is known as Panthera gombaszoegensis, and it showed up around 2 million years ago (Ma); during the Pleistocene (Rabinowitz, 2014). P. gombaszoegensis was the first pantherine cat in Europe (Rabinowitz, 2014). It was notably larger than P. onca, with females weighing between 100-130 kg (220-287 lb) and males from 150-190 kg (331-419 lb). While modern jaguars are able to tolerate a wider range of habitats than is often recognized, P. gombaszoegensis was even more adaptable (Marciszak, 2014). For example, Argant and Argant (2011) found its remains in a region that resembled an open steppe when their specimen lived there. Its ability to inhabit various landscapes likely helped P. gombaszoegensis colonize virtually all of Europe (Marciszak, 2014). Some early jaguars headed east. They traversed central Asia, survived the harshness of southern Siberia, and crossed the Beringian land bridge into North America (Rabinowitz, 2014). This journey likely took hundreds, if not thousands, of years. It could not have been easy, but it is the reason jaguars still exist today. Moreover, this journey bears striking similarities to how P. onca behaves. When faced with significant threats, jaguars do not remain passive. Rather, they travel huge distances in order to find more suitable territories (National Geographic, 2015). In some cases they cut right through humanized landscapes without ever being seen (Rabinowitz, 2014). Keeping with the above theme, early American jaguars did not confine themselves to one continent. They kept moving, eventually crossing the Panamanian land bridge into South America some 280,000-510,000 years ago. These New World jaguars managed to outlive their Eurasian cousins, but their world was about to change. In the late Pleistocene, the climate began to warm and sea levels began to rise. A certain primate with a highly-developed brain and social skills also made its way to the western hemisphere. These two factors likely helped to wipe out nearly all of the megafauna in the Americas (Rabinowitz, 2014). This extinction event impacted both large herbivores and carnivores, but the jaguar survived. Dr. Alan Rabinowitz (2014), the world’s foremost jaguar expert, believes P. onca’s small size contributed to its success. Early American jaguars, such as Panthera onca augusta and Panthera onca mesembrina, were much larger than they are today (Barnett, 2015). In fact they weighed as much as 210 kg (463 lb). But as the earth warmed, jaguars shrank. As well as facilitating heat loss, this more compact form allowed the species to subsist on smaller prey (Rabinowitz, 2014). And so the modern jaguar was born. 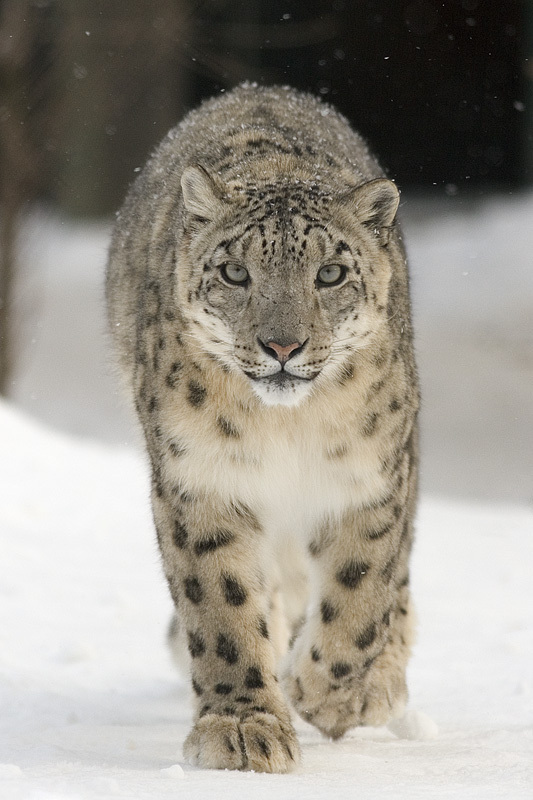 Panthera onca has survived the Pleistocene ice ages, traversed hundreds of thousands of miles, and adapted to dramatic changes to become what it is today. But now the jaguar is facing its most daunting challenge yet: ourselves. We are currently in the midst of the sixth great mass extinction, and it is being driven almost entirely by us (Worrall, 2014). But since we are the cause of the current mass extinction, we can also be the cure. If enough of us commit to meaningful action, we can save many imperiled species. The jaguar is one of them. It has already demonstrated an impressive ability to adapt to change; and a will strong enough to propel it across the globe. With our help, it can continue to live long into the future. As you may have noticed, the majority of my information came from An Indomitable Beast by Dr. Alan Rabinowitz. I highly recommend that book to anyone interested in jaguars. Also, Ross Barnett of TwilightBeasts has written an exceptional article on European jaguars. Click here to read it.